A Glasgow architect about whom little is known and of whose work little has survived. His UP Church at the corner of Albert Street and Taylor Street (1871-2, dem. c. 1970s), was a fine example of his Gothic ecclesiastical work and incorporated roundel busts of John Knox, Ebenezer Erskine and Dr Chalmers by William Mossman II , but was demolished, together with most of the rest of Townhead, to facilitate the construction of the Townhead Interchange. He also designed public, domestic and educational buildings in the city, and at least one impressive monument in the Necropolis. His domestic work includes the tenement at 1512-28 Maryhill Road (1892); and the houses at 58 Cleveden Drive (c. 1893) and 3-7 Lancaster Crescent (1898). 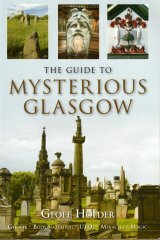 His school work includes St Peter's School, Partick (1892); and St Peter's Girls Primary School (now Notre Dame Primary School), Victoria Crescent Road (1898), which includes two fine statues carved in red sandstone of St Mary (Notre Dame) and Christ by an unidentified sculptor (probably William Vickers , who did much sculpture and carverwork for the Catholic diocese at this time). His only identified monument in the Necropolis is the large-scale, Classical monument in granite to Herbert Thomas Rossborough, which was sculpted by Peter Smith (1887). Both the architect and sculptor signed the monument. One of his most interesting buildings is at 98-104 West Regent Street, which he designed for the Masonic Halls Company as Lodge St John, Glasgow 3 Bis and as business chambers (1895-6), which advertises its Masonic use by its statues of the saints John the Baptist and John the Evangelist, and the Sun motif in the attic gable. Cowan, like many other Glasgow architects and sculptors, was also a member of the lodge. Towards the end of his life he entered into partnership with Walter R Watson , designing St Paul's RC Presbytery, 1213 Dumbarton Road (1904), St Mary's RC Presbytery, 89 Abercromby Street (1904), Queen's College, 1 Park Drive (1905) and the Assembly Hall at Glasgow High School, Elmbank Street (1906-7).